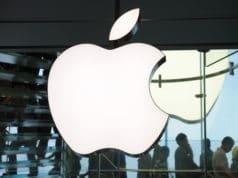 It’s no surprise that banks top the list of businesses that most inspire public outrage, and even before the credit crisis they were invisible enterprises at best – a joyless necessity begrudgingly endured by the populace. Banking presents a monumental challenge to brand agencies and CEOs alike. Entrepreneurial moguls like Richard Branson with Virgin and Anthony Thomson with his Metro Bank in the UK are promising a “revolution in banking” and attempting to make it a more memorable, personable and efficient experience for the public. But the feeling remains that they still haven’t yet cracked the code of brand loyalty. Meanwhile, a few pioneers of the Internet age have produced an entirely different paradigm in regards monetary transactions, echoing the fact that the ability to effectively buy and sell online is really the frontline of what any business needs in order to be successful in today’s climate. Likewise, it’s been in the news recently that cell phone banking in the third world is blossoming and providing a new, intelligent and secure way for millions of people to cut out the dreaded middleman: their bank. Streamlining the payment experience was one of several initiatives that led e-commerce pioneer Yuval Tal to devise an ingeniously simple way to send and receive money that is making a huge impact on the idea of currency exchange. Imagine: no more wilting plants in a stuffy foyer, lines snaking out the door and surly bank staff unable to provide the simplest of services. And, of course, don’t forget their outrageous fees for international money orders. This no longer needs to be the reality – a creative, lateral approach and technological know-how is changing the way we do business from now on. This should make Richard Branson very nervous. What Yuval Tal’s company, Payoneer, has done is offer a service that enables anyone with their MasterCard®-approved card who’s signed up with them, to send or receive money anywhere in the world without ungodly surcharges, delays or the obligatory, crackly phone line to call centers on the outskirts of Mumbai. Fantastic. 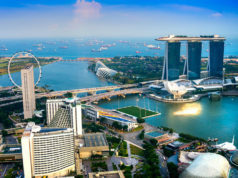 This is already proving to be something of a game-changer with the company boasting over $500m a year running through its system and a yearly growth rate of 100% since its inception five years ago; a very successful and exciting business idea, indeed. And for developing countries, this will also be a tremendous boon for both currency freedom, and payment reliability. This isn’t the first big idea business that Yuval Tal has captained. He’d had a busy, twenty-plus-years in the world of Internet startups and currency exchange before setting his sights on the Payoneer model. After receiving degrees in both mechanical and biomedical engineering, he began his path developing successful e-commerce strategies. In 1999, Payoneer’s predecessor, E4X, was launched and was considered a pioneering platform for online payment. What is becoming so commonplace now certainly was revolutionary a decade ago. After growing into a business that claimed over $500 million in revenue, E4X became what is now FiftyOne, a market leader for global e-commerce transactions. And now Tal has moved from strength to strength, with Payoneer attracting business accolades and positive press from journals like TechCrunch and NY Convergence. The ease of use, low cost and a sense of membership are all contributing factors to Payoneer’s success. A truly modern idea, leaving traditional banking, much like the record industry or other dinosaurs, without the ability to compete. No one wants to go to their bank. No one looks forward to the antiquated and time- consuming process of money transactions and transfers. And with an inherent distrust now in place, there seems to be no reason for future generations to contend with the current banking model. It’s hard to see how traditional branch banking will survive past the next twenty years. A logotype re-brand and new advertising isn’t what people want when they have to pay clients abroad or move money around. And if you’re wondering whether Payoneer has customer service that isn’t automated? The answer is yes. They have a dedicated team of individuals available 24/7 for any of its customers’ needs. A refreshing, human change that deserves the positive attention it’s getting. I heard about Yuval Tal back in the days he was working at 4EX, which is now FiftyOne i suppose. It’s nice to see the e-commerce business taking new directions and growing. Fascinating story. I wonder what makes Richard Branson and Anthony Thomson so sure of themselves. I haven’t seen any data that should back that up. 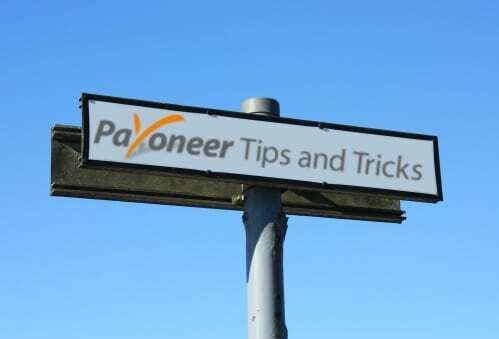 How long do the payoneer transactions take? I understand it’s easy and secure but is it also quick? I use Payoneer and it is OK. The fees are a bit high but other than that it works fine. I hope they don’t pull and Epassporte though and disappear with no explanation why. When looking for a decent electronic payment option I kept coming across Payoneer. They must be doing something right with their branding. Just got my card am going to try it out. In order for internet business to really dominate we need more international, steady electronic payment systems to use like PayPal. Some of the other options out there seen dubious. Payoneer seems all right though. with banks crashing left and right using a system like this seems more trustworthy lol! Anyone actually use Payonner here? Sounds interesting. I had a very bad experience with Epassporte and lost a bunch of my poker winnings there. Payoneer seems like it has some actual capable and experienced people behind it though. Funny I came across this just blog Googling around …. I met Yuval during some business I had years ago. Smart guy. Read about them in Techcrunch. Had no idea there was so much money in electronic money. I think I’m in the wrong biz! i’m so sick of my bank and how they treat me : ( maybe something like this will be better … can’t be worse? My brothers credit card got stolen once and he cancelled the use of all his credit cards. Now he uses one. The use of one credit card is much more organized and safer but he doesn’t use online services such as paypal or liberty reserve etc. One way or the other there is always someone online who can hack a website. Hopefully this idea will become popular. I think that it is great to give for as gifts (gift cards). I’m not talking about the usual gift cards assigned to a specific store. With this card, the holder can use it anywhere so it is much better than a store gift card. Now, we are not limited to shopping at a particular store. Great Concept! This isn’t the first time that I had heard about Yuval Tal. It is no surprising how he gotten to where he is with such a massive potential. I haven’t tried any of the services he has built but I had been considering it for the longest time, so it might be NOW. I just hope someone out there can come up with a payment system that is better than and more widely acceptable than Paypal which is soon becoming like the old Bank people. May be this is it! Pioneers only keep the wheel of life going. Coining of the new term ‘payoneer’ indicates that the pioneer in this case means business. Banking is supreme to all businesses being at the core. Yuval Tal deserves all the appreciation for his pioneering payoneering adventure. Yuval Tal is great with his innocative ideas, he is trying to bring revolution in banking. The Payoneer model is great idea of bussines concern. He is doing well and may the bussines grow and help Yuval Tal’s idea to get more popular. I really got a great experience with payoneer as my alternative in online payment solution, it strip of the cost of charges I’m getting from changing currency rate, like US to euro. Plus it is very convenient. I can keep track of my funds and balance my account online. Thanks to Yuval Tal, indeed payoneer debit card is one of the best online payment platform I got. The way to pay our taxes and bills has been changed drastically. The electronic money is a blessing as you can spend the same right from your home. But this thing still require improvements and especially the fact that there is need of better security systems and i guess payoneer model is helping a lot in this area. This man is just simply a genius. He is able to express out an idea that can be so delicate and effective, and he explains things in a manner that seems so easy and practical, yet it is so critical. This idea of his also put in the solution to many who finds their inquiries unanswered during off banking hours. Definitely, Yuval Tal is a great person who puts the vision of greatness into this idea. That is why I believe this one will work. A good Article. First it hails the expertise and the acumen of Banking CEO. the banking revolution and it’s integration with telecom is very fashionable. The idea used by Yuval Tal is one step head of Banking industry. Banking industry first evolve from the simple banker to the internet and debit cards but still the middle man at the bank branch remain the hurdle for the smooth flow of transaction at low cost. Idea of Yuval Tal to integrate the telecom with banking and making Payoneer a success. Lastly article comment on the innovative or out of box thinking to bring the aviation industry from the mess that it is in and to make it profitable and consumer friendly that will benefit the consumer more. cell phone banking in the third world is blossoming and providing a new, intelligent and secure way for millions of people to cut out the dreaded middleman: their bank and in india it is recently launched. I believe some other payment processors also provide similar debit card facility. Technology combined with great minds are sure to make our lives better. I just hope they won’t stop with financial institution and communications. There are still other facets of the society that needs a revolution. Yeah, airline is one, is there anyway that education can also benefit from this kinds of innovations? Just wondering. Payoneer sounds like a great and convenient service for anyone with a Mater’s Card. I wonder is it available for other credit cards like visa or American Express? Also it is not quite clear as to how it works. Looking forward to more details. Interesting post! Thanks for sharing with us. It was wonderfully written and had some VERY helpful information! A good reading and a cinsistent recognition to the contribution of Yuval Tal who rose up gradually with great wisdom. When the mass population automatically follow the mechanical process inspite of their awareness there do exist some genius heads to offer an alternative that is more genuine like the Payoneer’s commitment led to the ease of use, low cost and a sense of membership contributing to success. success.